Heading back in an Uber (of course) to our hotel, we vaguely made a plan of where we were going to go that night… I cannot for the life of me remember the first place we decided on going to but I do remember that it was on Santa Monica Boulevard and we were drawn in by cheap happy hour. I will always say my favourite part out of going is getting ready. It’s definitely the combination of pre-drinks, doing my make up and listening to some good tunes. Does anyone find that when they’re on holiday they seem to have a particular holiday song or album? For me and my friend it was Madonna’s American Life album. I’d been singing Hollywood for WEEKS in the lead up to our trip and I still have it on my mind when I think of my trip now. The funny thing is, I’m piecing this blog post together from looking through my phone and gluing remnants from my memories in. I’ve always kinda thought that no one looks back on the nights they got plenty of sleep (despite me being over clubbing), but it definitely is down to who you’re with. 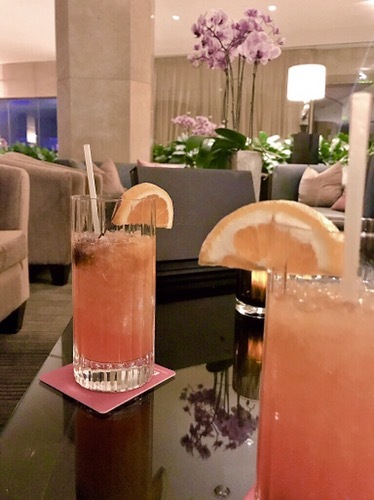 We decided to have a drink in our hotel (The Beverly Hilton), which turned out to be a little pricey but worth it… simply because it was SO strong. I can’t even remember what it was called because by this point I was either ready to party or pass out. Those Hooters wings would have done us well again by this point. 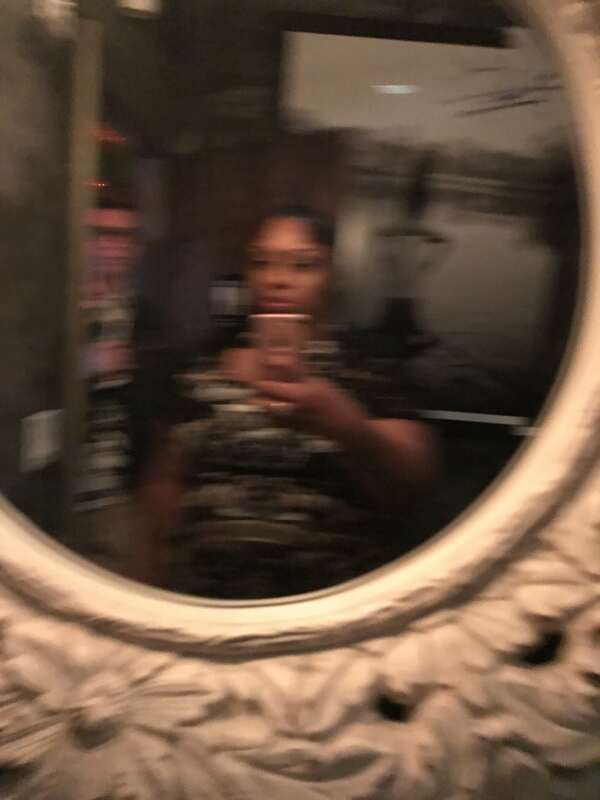 Ordering an Uber, we headed to the bar in Santa Monica (which turned out to be a 30 minute journey) whilst trying to retain some kinda composure and not throw up. Looking back, this was a stupid decision as the bar was pretty dead for a Tuesday night. 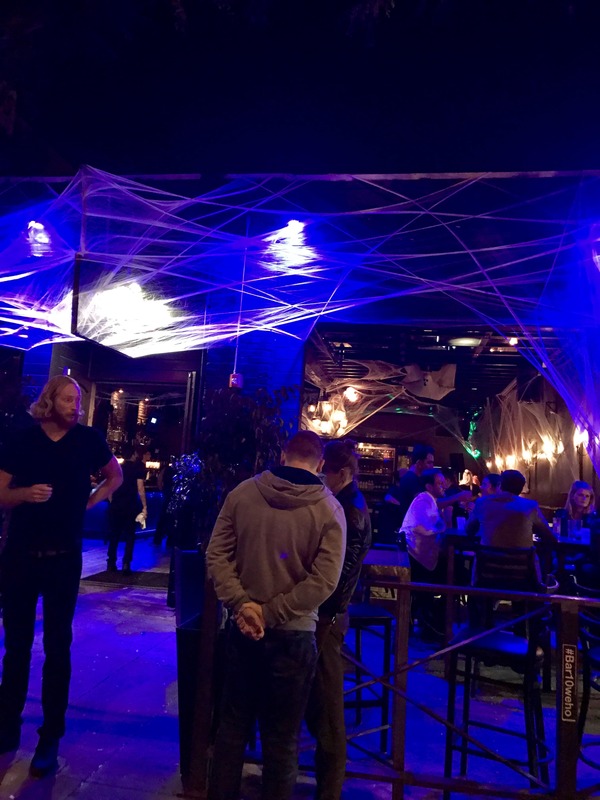 It seemed more like a low-key lounge (which is fine), but wanted music and a little more atmosphere. So back in an Uber again, we went to The Abbey in West Hollywood which we’d heard was a celeb haunt on the TMZ tour earlier that day. The Abbey had a really friendly vibe and the strawberry daiquiri I had was amazing. I think the sugar in this perked us up and we were ready to head off somewhere else. 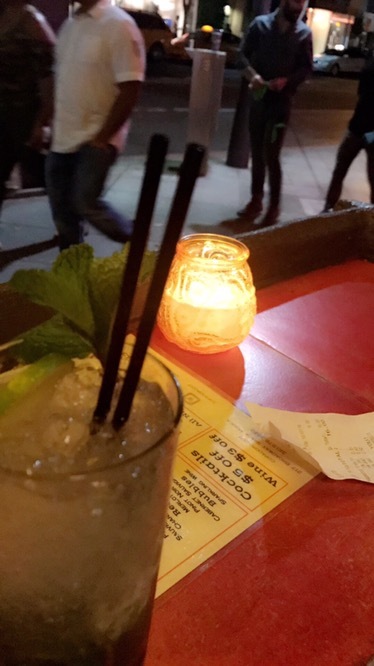 I guess our LA night our turned into bar hopping which is something I fail to do in London as I tend to always go to the same places. We left The Abbey in search of somewhere else to go and we could hear Destiny’s Child playing somewhere in the distance. 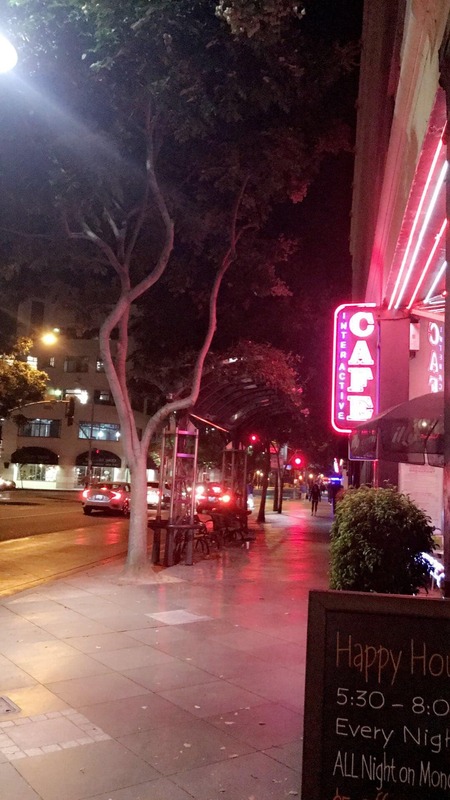 Deciding to investigate, we walked across the street and found ourselves at Bar10WeHo. Of course Destiny’s Child brought us to a karaoke bar. We grabbed a couple of Budweiser ($6 each which is pretty comparable to London prices) and watched a few people singing. What I did notice was how friendly everyone was, from the bartenders to everyone around us. It was clear to see why L.A is just so laid back and has a different attitude to life. I know I keep comparing it to London, but it’s all I know and perhaps I need to take a leaf out of the L.A book and loosen up. I’ve always wondered if London makes me hostile anyway? The karaoke singers at Bar10WeHo were so talented, well I’m not 100% sure looking back at my Snapchat stories but so many of them could hold a note. Realising how intoxicated I was, I began to wonder when to stop drinking and when to head back to the hotel but part of me also wanted to stay out. Do you ever have this problem? It’s like your head says go home but your drunkself wants you to stay out and live to the gospel according to YOLO. Anyway, we soon learn from chatting to a few locals we learnt everything in L.A closed at 2am which was SO early. Apparently the best way to continue your night is to head to an t in The Hills but that means knowing someone! "​Memoirs: Bloggers Xmas – Event Roundup"